Pavlova is a famous dessert named after a famous Russian ballerina. It is light, airy and elegant. 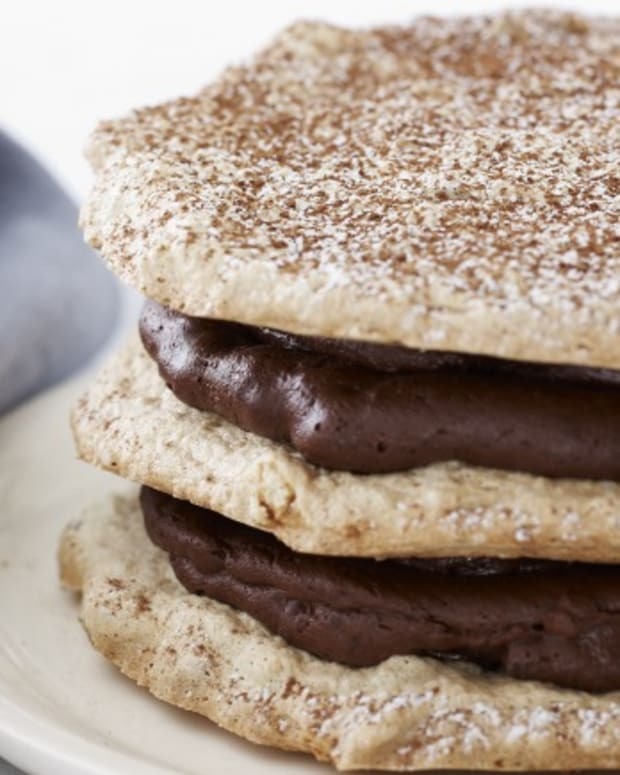 Crunchy, pillowy meringue becomes a base for almost anything. 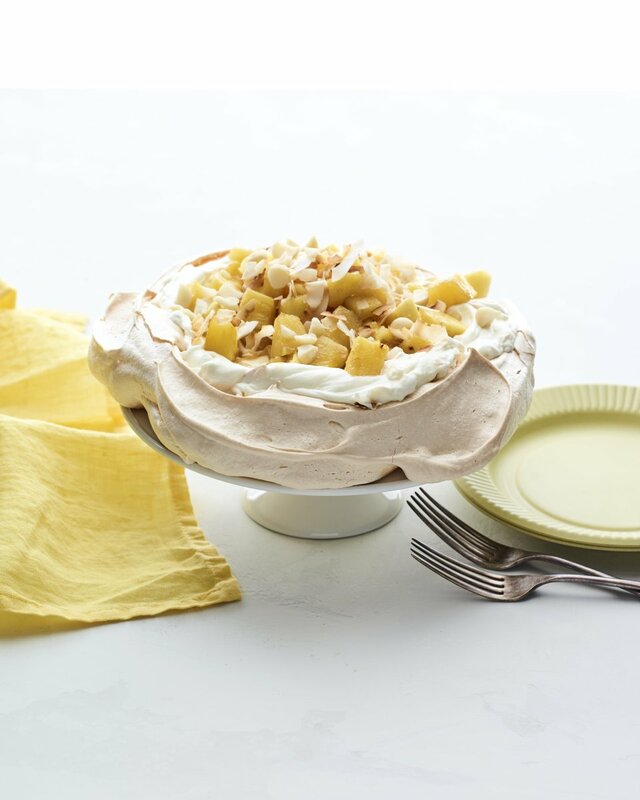 The meringue itself can handle many flavor add-ins, ranging from rich chocolate to sweet & tangy pomegranate. 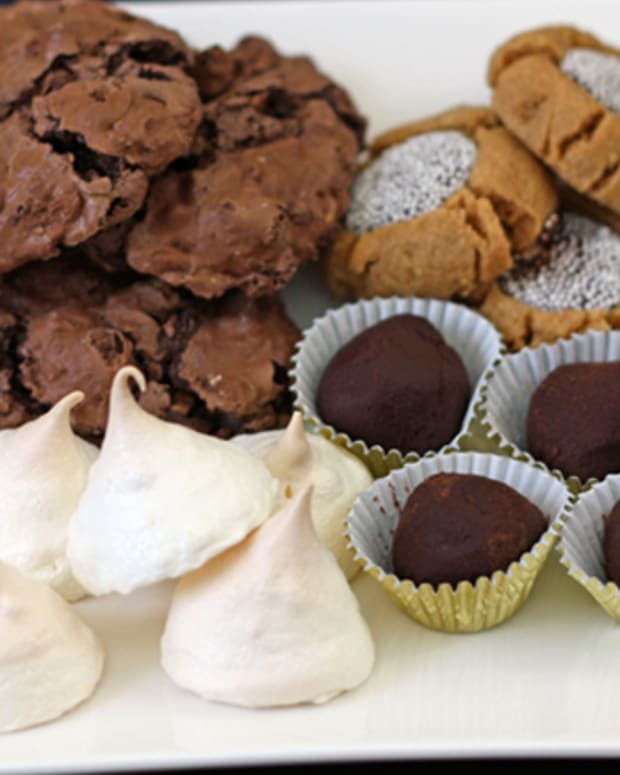 Toppings can range from whipped cream, fruit curd, pudding and fresh fruit. 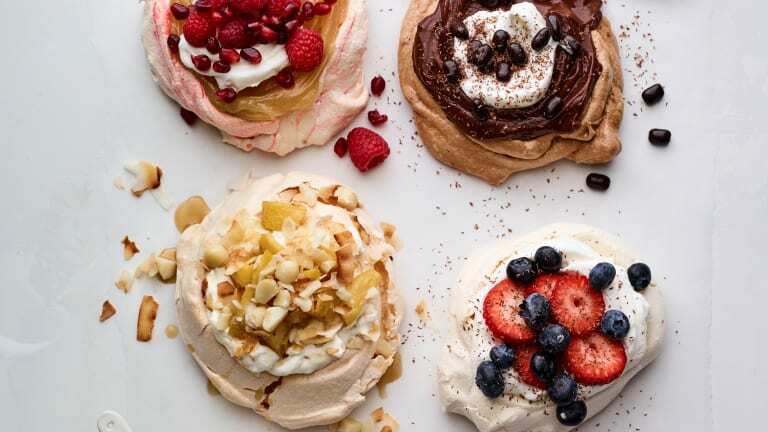 Even better, create custom sizes from mini individual portions, to large 9 inch rounds or go all out and layer the meringues one on top of each other (see chocolate espresso pavlova, below) for a showstopping dessert. A pavlova is such a sophisticated crowd pleasing dessert. 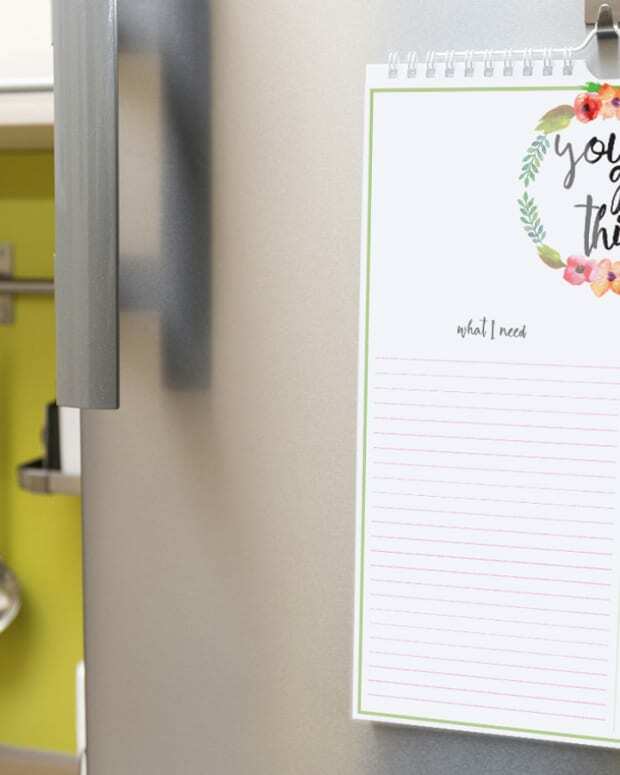 You can customize according to season and for holidays. I love the hint of spring and use berries, Meyer Lemon curd and softly whipped cream for dairy meals. 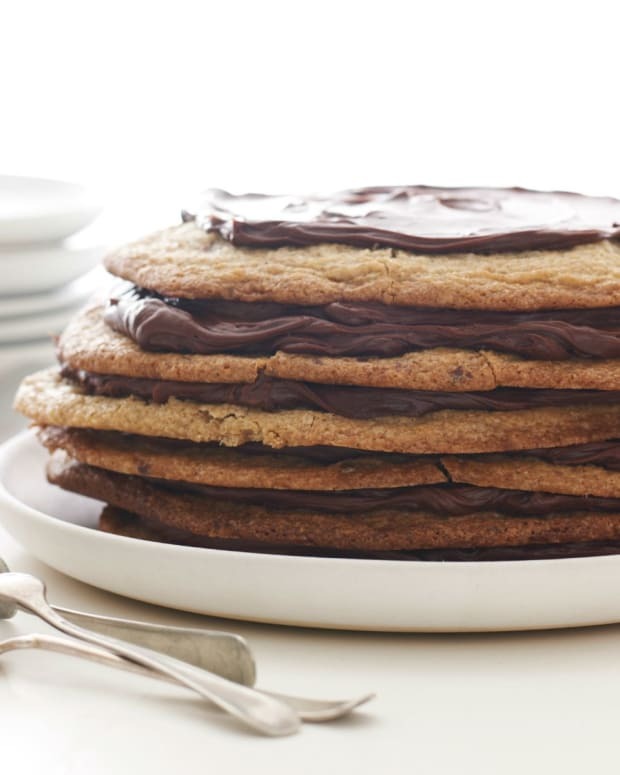 Rich, chocolaty and decadent. 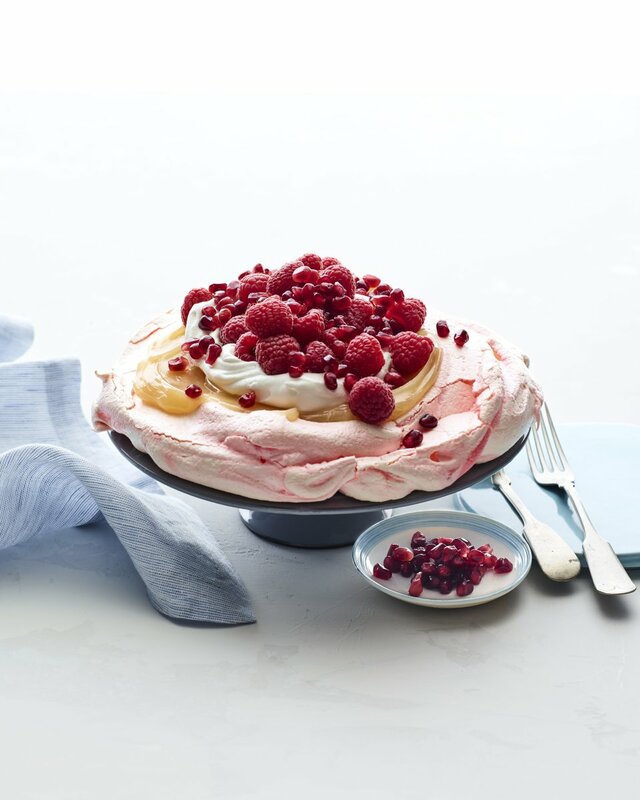 Pavlova can be made up to 2 days ahead of serving and can be stored, covered tightly, at room temperature. Simple and sophisticated. 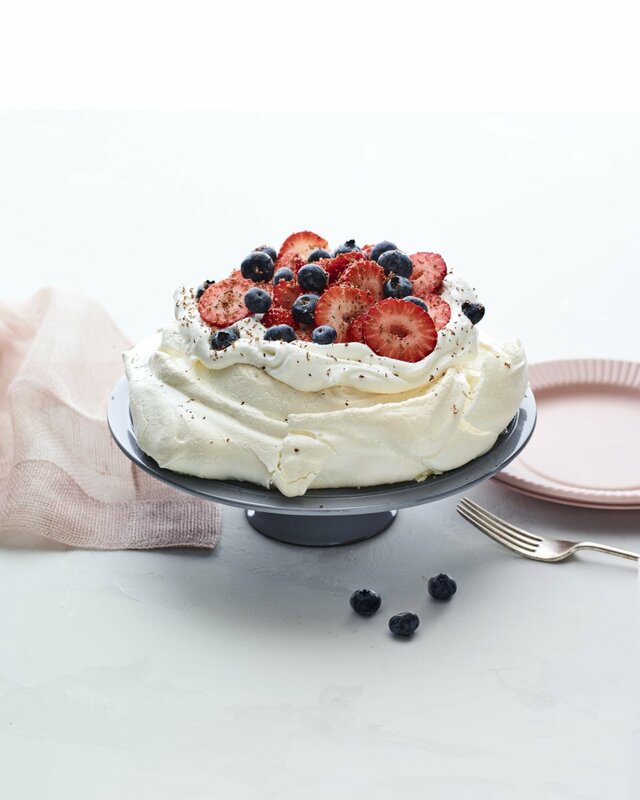 Crisp meringue, a slightly chewy center, and loaded with whipped cream and tart berries, this pavlova has it all. 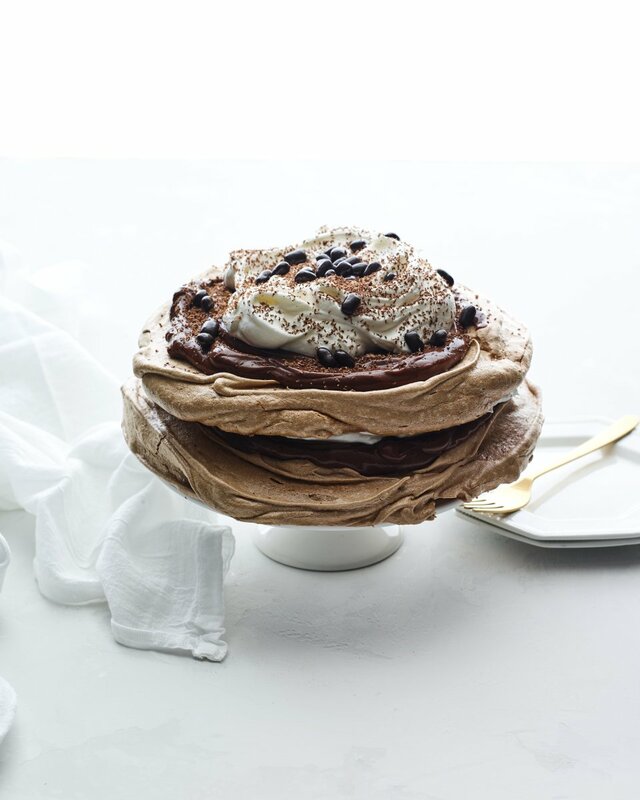 Brown sugar adds a toffee flavor to pavlova. 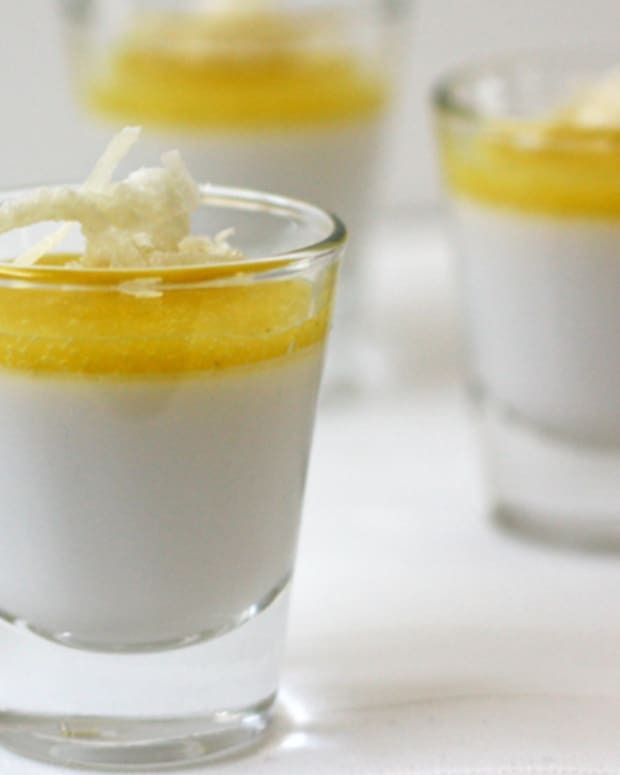 I love this version with fragrant pineapple and creamy mascarpone. 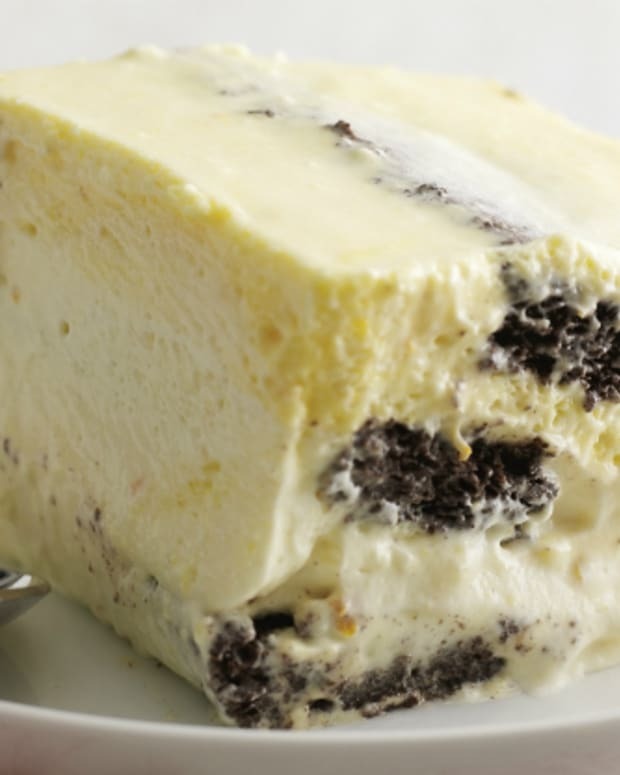 If you can&apos;t find mascarpone, use cream cheese.